The Jones Act Waiver for Puerto Rico Expires Today – Now What? Show of hands: who here knew about the Jones Act before Vox ran a headline after Hurricane Maria? If you said yes, then you’re probably a maritime lawyer or shipping magnate – in which case, welcome! If you said no, then you’re more like me – and I’m a lawyer who cut my teeth on a pretty major catastrophe in the Caribbean. So don’t sweat it. Anyway, I won’t belabor the details of the Jones Act now that we’re all arm-chair experts. Besides, the purpose of this post is to explain proposed legislation that aims to reform or repeal the Act in the wake of Hurricane Maria. But first we need to highlight some basics for friends who just climbed on board. So let’s dive in. By most accounts, the Jones Act is a disaster for Puerto Rico that helped plunge the island into debt, and push the cost of living higher than most major metro areas in the US. According to one study, it has drained $17 billion from the island economy over 20 years. Everything from apples to i-phones are more expensive because of the Act. Basic necessities are about to get even pricier now that Hurricane Maria destroyed the supply chain but accelerated demand. That’s an incalculable burden for most Puerto Rico consumers whose annual income averages $18,000 per year. that only US vessels can transport goods from one US port to another. 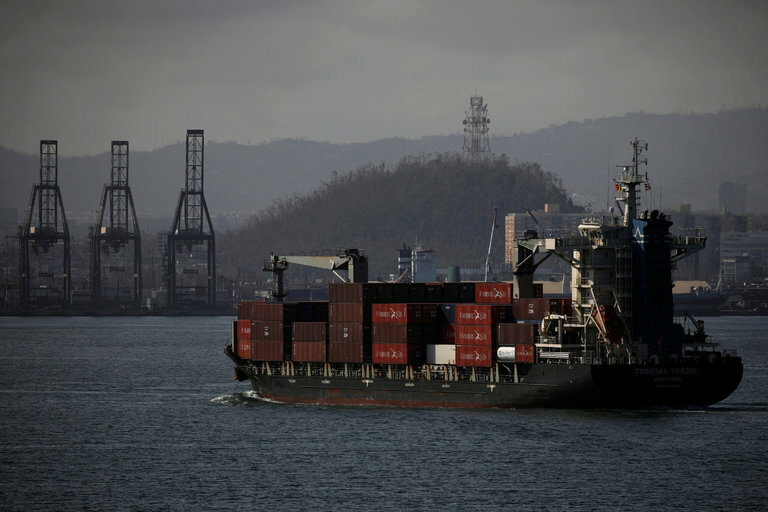 As a result, foreign cargo ships that dock at a US port cannot proceed directly to Puerto Rico, because the goods have to be transferred to a ship that was built and registered in the United States. Foreign vessels that do arrive in Puerto Rico from a US port are hit with taxes and penalties that American ships do not have to pay. In either scenario, the added shipping costs are then passed on to consumers. That’s terrible! What does this mean after Hurricane Maria? Puerto Rico is $74 billion in debt, so it can’t sustain initiatives like environmental renewal and infrastructure security that would reduce its exposure or boost its resilience to catastrophic storms. There is no economic surplus to commit to reconstruction, and the cost of borrowing international funds will only make the financial crisis worse. At an individual level, people who already struggled to afford basic life necessities prior to Maria will find it nearly impossible to afford the material, machinery and other supplies they’ll need to rebuild. Ugh. So what happens now? The Department of Homeland Security authorized a 10 day suspension of the Jones Act in Puerto Rico on September 28. That came in the wake of a public outcry after DHS declined to answer a waiver request from several lawmakers, despite two weeks earlier having authorized a waiver for the Gulf Coast following Hurricanes Harvey and Irma. Puerto Rico’s waiver expires today – October 8, and DHS has already announced that it will not be extended. Fun fact, though: just three days after DHS issued the Gulf Coast waiver, it doubled the number of days covered by it. Several lawmakers now see an opportunity to reform the Jones Act, and have introduced proposals that generally fall into three categories: (1) efforts to repeal the Jones Act entirely, (2) proposals to exempt Puerto Rico from the Act, and (3) an amendment to authorize a waiver for humanitarian relief efforts. I sketch these proposals below, and will provide update as they happen. In July, two months before Hurricane Maria, Senator John McCain (R-AZ) introduced legislation that would allow foreign vessels to transport goods between US ports. In a statement, McCain referred to the Act as an “archaic and burdensome law that hinders free trade, stifles the economy and ultimately harms consumers.” Opening domestic cargo routes to foreign competition, he said, would reduce shipping costs, and thereby cut the overall price of goods and services. This is McCain’s third attempt at repealing the Jones Act – he introduced similar legislation in 2015 and 2010. He supported those efforts with reference not only to market-driven concerns, but observations on how the Jones Act interferes with disaster recovery. He specifically cited the BP oil spill, where the US rejected almost two dozen offers from foreign countries to help remove ocean debris solely on account of the Jones Act. None of McCain’s prior attempts gained much traction in Congress, and there’s no indication things will be different this time. In fact, as it stands now, President Trump supports the Jones Act because the shipping industry opposes repeal. Short of full repeal, Senator McCain co-sponsored a bill with Senator Mike Lee (R-UT) in September to permanently exempt Puerto Rico from the law. 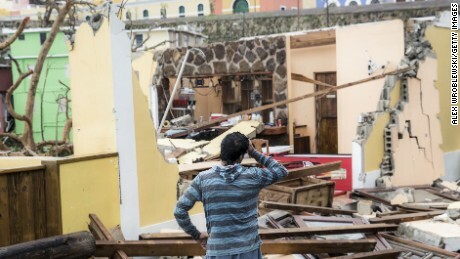 A pending House bill would exempt Puerto Rico for 5 years. Three other island territories are already exempt: American Samoa, the Northern Marianas, and the US Virgin Islands. An exemption for Puerto Rico, therefore, wouldn’t necessarily undercut the overall statutory scheme, though denying it would renew the question of why Puerto Rico is burdened by the Act, when the US Virgin Islands are not. Consider this: Samoa and the Northern Marianas are exempt for practical reasons – they’re so far away from mainland coasts that it’s logistically impossible and economically unfeasible to grant US ships a monopoly over trade routes in that region. The US Virgin Islands are much closer to the mainland, but they too are exempt, owing to economic and foreign policy influences that existed when the US acquired the islands from the Dutch in 1917. Puerto Rico on the other hand, became a US territory in 1898, when it was taken in the Spanish-American War. The Jones Act didn’t become law until 22 years later, in 1920, long after the US established sovereignty (so far as it was concerned) and shaped the island’s economy to its liking. So yes, Puerto Rico and the USVI have very different histories which explains why, when the law was enacted, one was covered but the other was not. But those conditions no longer exist. Puerto Rico and the USVI are now similarly situated in terms of their political relationship to the US, and they are both, relatively speaking, a similar distance from mainland coasts. If reasons exist for enforcing the Jones Act in Puerto Rico but not the USVI, they should be grounded on objective criteria, not an historical lark. As written, the Secretary of Defense can suspend the Jones Act “in the interest of national security.” Other agency heads can waive the Act, but only if there are not enough US vessels to meet national defense requirements. In fact, the Trump Administration initially concluded that Puerto Rico did not need a waiver because US vessels were already delivering supplies. Shipping wasn’t the problem, they said, but blocked roads and labor shortages meant the goods weren’t being distributed. But the question of whether relief goods can be physically delivered to Puerto Rico addresses only one concern. The other is whether those goods can be delivered quickly and cheaply, without further upending Puerto Rico’s economy at the precise moment it is facing down the headwinds of recovery. This is where the Jones Act affects Puerto Rico’s overall resilience to disaster, beyond this one catastrophic storm. It’s actually common to waive the Jones Act after a catastrophic disaster. It happened after Hurricane Katrina, Superstorm Sandy, and now Harvey, Irma, and Maria. Most waivers related to disaster are limited in scope, however, authorizing the foreign transport of fuel sources, including oil, gas and diesel, so as not to disrupt the energy supply needed to support domestic security. Hurricane Maria’s waiver was much broader though, permitting the foreign transport of “all products to be shipped” from mainland ports to Puerto Rico. Weng’s proposal to authorize a “humanitarian relief” waiver is just as broad, but could be granted without the heavy burden of establishing a national defense rationale as is now required. There’s an additional proposal that I haven’t heard lawmakers discuss: what if we amended the Jones Act to trigger an automatic suspension whenever the President issues a disaster declaration under the Stafford Act? Give me time, and I’ll post another entry explaining why this makes sense both as a policy matter, and within the existing Jones Act framework.